This module has a DS18B20 digital temperature, an LED and a resistor. It will give you a digital output that will vary depending on temperature. This tiny module has a BMP180 precision preasure sensor soldered on to a GY-68 breakout board to make it easy to use this amazing sensor. 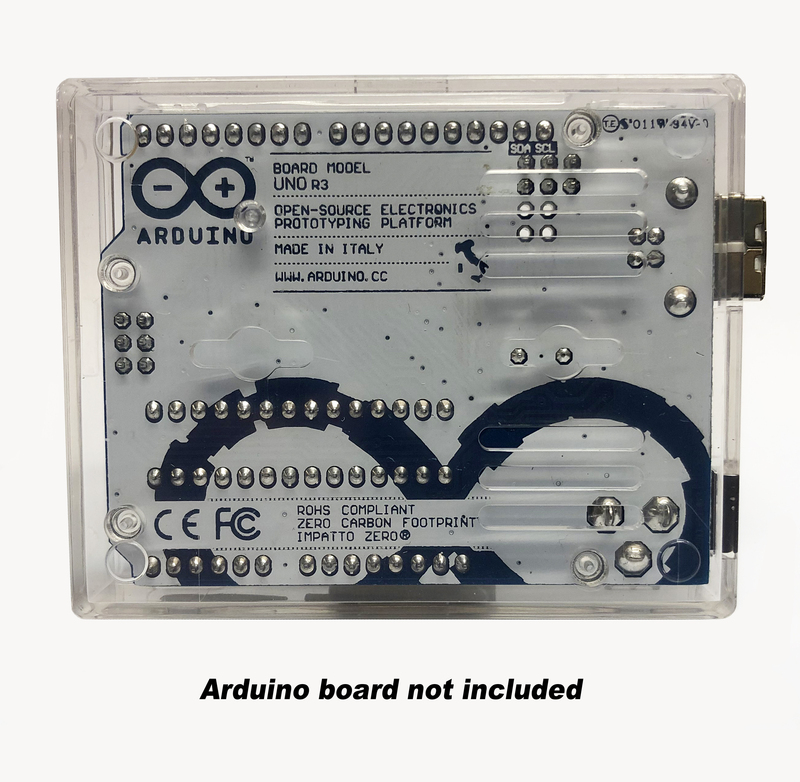 The BMP180 will give you accurate preasure data via the standard I2C protocol making it simple to add to your project. 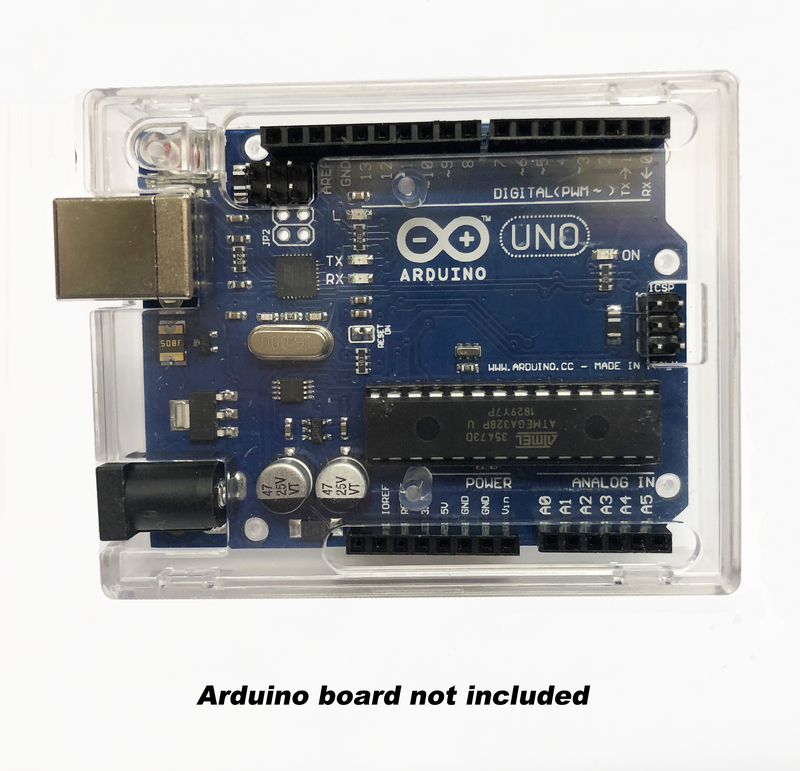 This custom made box for the Arduino Uno R3 is a simple 2 piece snap together case. It has all the cutouts needed to alow easy connectiion of the power, USB and all the pinheaders. 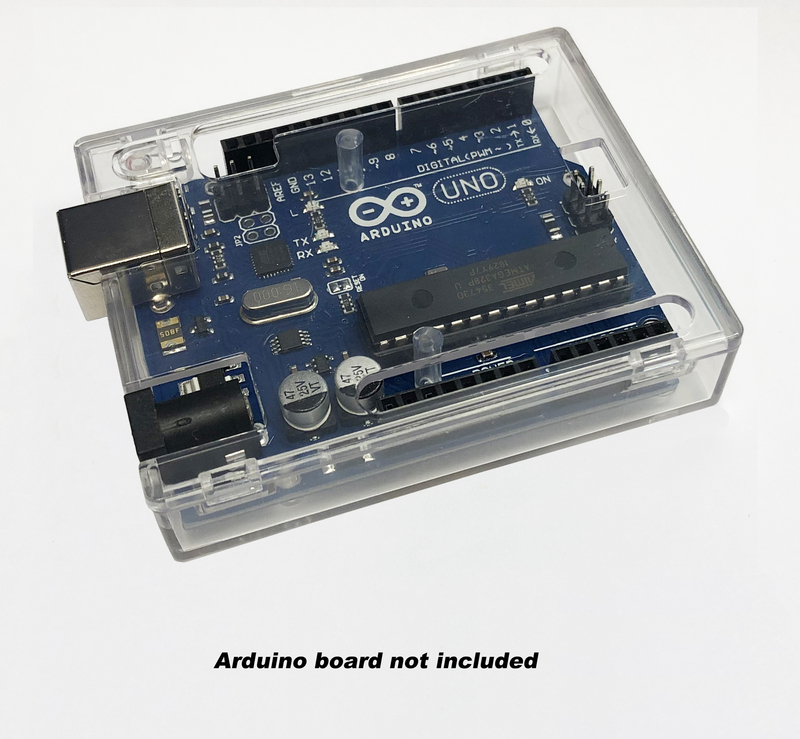 There is also a built in reset button extension to alow easy resetting of the Arduino with a press of the finger (many other cases just have a hole above the reset button). 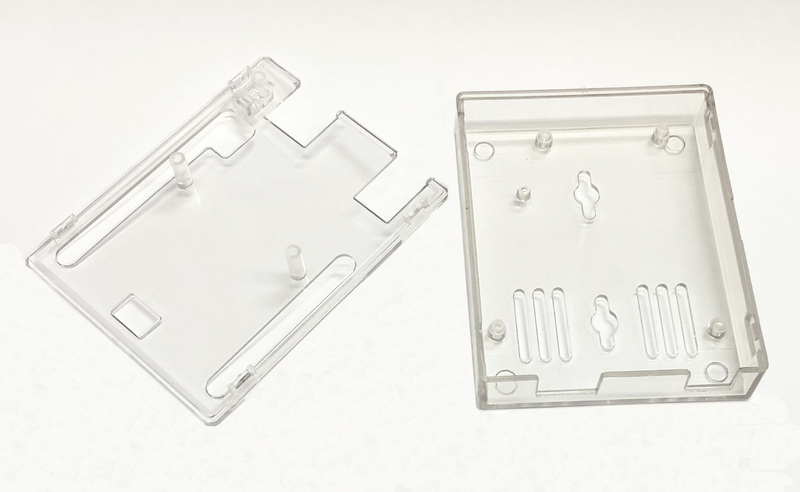 The case will hold the Arduino solidly in place inside without needing you to use any screws. It also has vents on the underside and mounting holes so you can fix the case to a surface.